With less than two weeks until the countdown to Christmas begins it’s time to hit the shops and pick up this years Advent Calendars in preparation for the festive period. This year there’s a huge range of fantastic Children’s Advent Calendars available, so much so that I thought I would make your job easier by compiling a list of the best Christmas Advent Calendars for kids in 2015. If you want to know what’s inside each calendar click on the relevant image and all will be revealed. If you want it to be a surprise be careful not to click on the images. Without further ado and in no particular order, here are my Top Kids Advent Calendar picks for 2015. 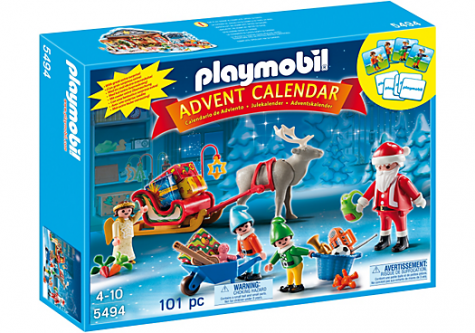 Playmobil have outdone themselves this year and have a great range of Children’s Advent Calendars available. The Santa’s Workshop calendar is aimed at Children aged 4-10 years and is sure to be a top choice this year with both children and parents. 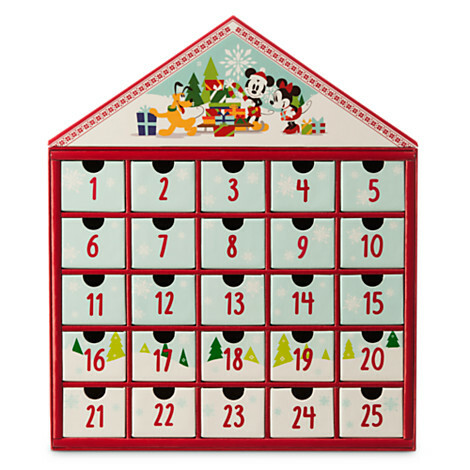 Each day in the run up to Christmas children will open a door a day to reveal a special item hidden inside. Included in the calendar is a Father Christmas figure, a fairy, two elves, a reindeer with sleigh, gifts, assorted toys and much more. There’s also a bonus memory card game. The calendar includes a clever backdrop which folds out to create Santa’s Workshop for hours of creative Christmas play. Suitable for ages 4-10. 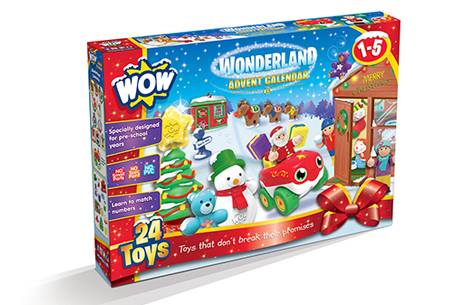 WOW Toys have three fun Advent Calendars available this year that will give pre-school children aged 1-5 a wonder-filled countdown to Christmas. There’s a Farmyard Advent, a Town Advent and the Wonderland Advent. The calendars have been cleverly designed to create a fun play scene when the front is folded down. Each figure has a numbered spot so the countdown will also let children practice their counting skills. The Wonderland Advent Calendar includes 24 toys, including a push along Santa car, exclusive figures, a build your own tree and a build your own snowman. This Advent Calendar is perfect for little hands. Wow toys don’t require batteries and the toys are also quiet with no sound! Suitable for ages 1-5. This colourful and exciting calendar lets even the youngest Toot-Toot fans enjoy the run up to Christmas as it’s suitable from age 1 and up. It’s the perfect choice for little hands and a great addition to any Toot-Toot fans collection. 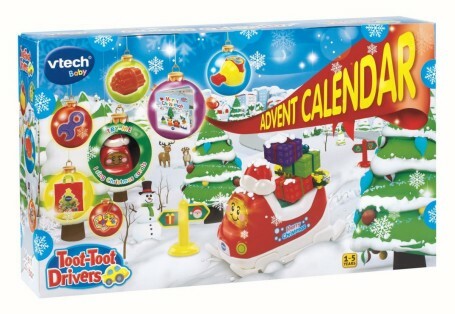 Inside the calendar little ones will find 24 exciting Toot-Toot items, one hidden behind each door. The items include a very cute Toot-Toot Drivers Sleigh which plays 3 Christmas songs, 6 festive melodies and lots of fun sound effects. They will also find a detachable trailer with SmartPoint, Christmas decorations, a mini Toot-Toot Christmas book and roads signs amongst other exciting items. 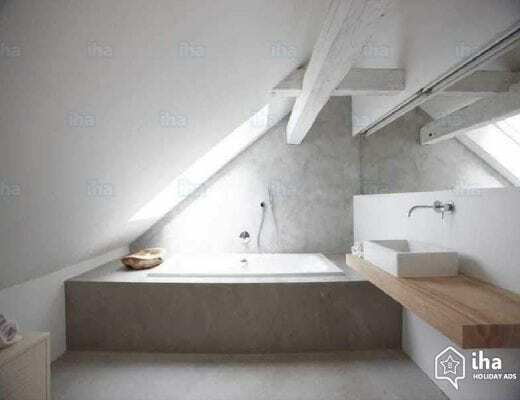 Also included is a handy storage back to keep everything together. This Calendar features a fold down front which turns it into a Toot-Toot Drivers road for hours of imaginative fun. Suitable for ages 1-5. Lego is loved by children (and adults) all over the world and it’s easy to see why. 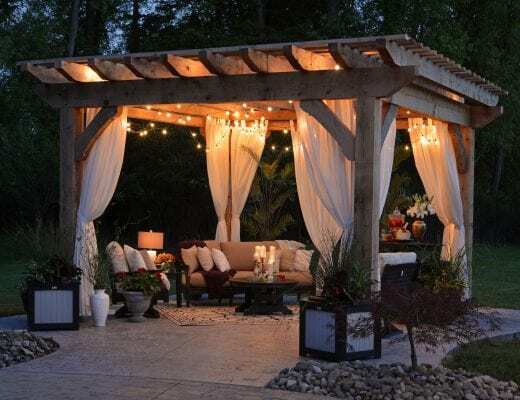 It lets children build and create almost anything their heart desires. If you have a child that loves Lego the LEGO City Advent Calendar will have them rushing downstairs each morning to see what’s hidden behind the next door. 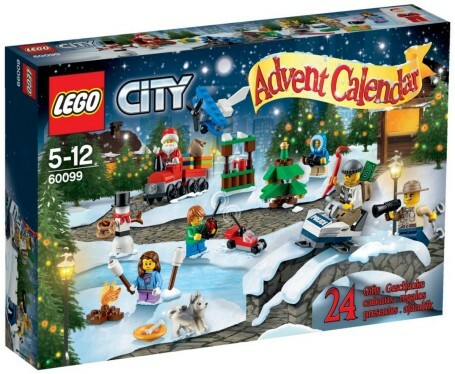 The calendar includes a great range of items, including 2 mini-cars with remote control elements, an ice skate stand, hot chocolate stand, 6 minifigures, an assortment of accessories and much more. Pull down the front of the calendar to create a wintry scene where children can let their imagination run wild and have hours of fun counting down to the big day. Suitable for ages 6-10. 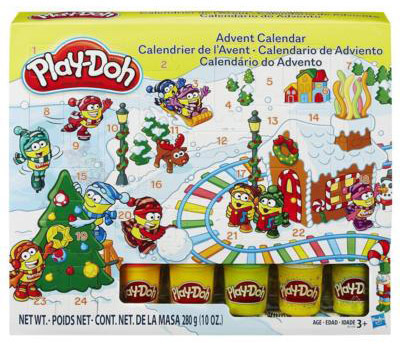 Play-Doh is a firm favourite in many households which makes this Advent Calendar a popular choice for children this year. The fun filled calendar contains a playmat, 5 cans of Play-Doh (including 2 sparkle cans) and a selection of festive stampers, cutters and moulds. This is the ultimate calendar for children who like messy play and being creative, they can make and create right up until Christmas and beyond. Suitable for ages 3 and over. If you’re looking for something a little more traditional, why not invest in a calendar you can use year after year. This is the ultimate calendar for any Disney fan, young or old. The calendar features an image of Mickey, Minnie and Pluto, along with some festive decorations. This alternative Advent Calendar lets you add your own touch to Christmas by choosing what items to hide in the drawers. You could add a different sweet each day, a small toy or how about a joke a day, there are so many possibilities. Suitable for all ages. My kids are desperate for the Lego Advent calendar but I’m worried they will fight over it! The WOW Toys one looks amazing I can tell you that and I do already love their brand. The Vtech one is also really great, I bought it for my nephew. It’s a tough choice! I love the playdough one! We always get non chocolate ones – last year my daughter had a nail varnish one. Me too! There’s something about Play-Doh that looks so fun, it might be the sparkly cans that are drawing me in ha ha. Ooh that sounds great, there’s a great nail one in Wilko this year! Wow, if only we had these when I was a kid, I would have been all over the PlayMobil one! What a great round up! We are going for the WOW one this year for the youngest and LEGO for the older two! Bring it on! !